I ordered this for my daughter-in-laws baby shower. It came when expected, nicely packed and the label with her name, baby feet and date were just as ordered. 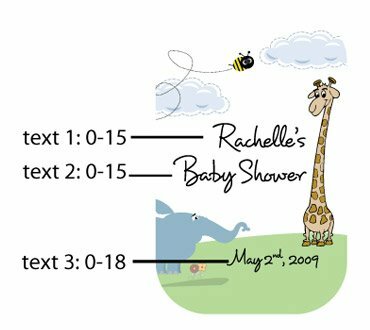 These are adorable baby shower gifts and something that everyone can use. I would highly recommend this company. The price was very fair. 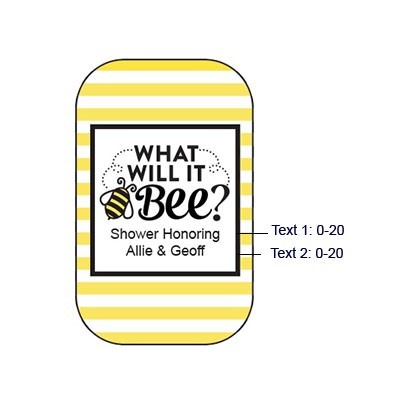 This was the perfect baby shower favor as the mother uses hand sanitizer all the time and all of her family and friends know that about her! Im in love it. I bought to give to people who come to visit me and my baby. Its cute and nice. good smell. I would definitely but this again! When I saw this as a baby shower party favor I knew it was the one & no need to look any further! After all who doesn't use anti bacterial gel from time to time? 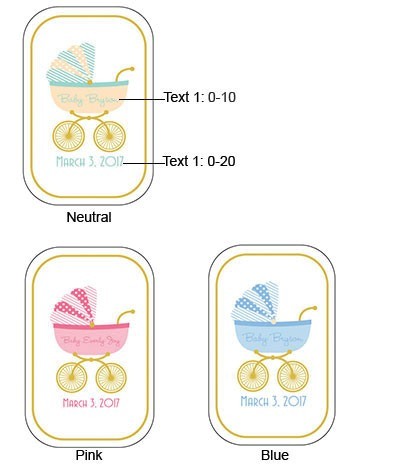 Adorable labeling choices! Perfect size to carry in your handbag! I recently purchased this for my sister's baby shower. The personalization came our real nice and I even had a catch phrase when I gave the guest one " Clean hands before you hold the baby" The downside it made my hands feel clamy, I had to put lotion on afterwards. Other than that, nice favor for the party. Very nice. Colors could be more vibrant. Perfect baby shower favor ... not something that will just be thrown away, everyone I know keeps a small bottle of sanitizer in their purse, their desk, their car!! Very handy to carry with you! I think this was a good thing to give the guest at the baby shower and if we have any left over they will be handy to use before holding and handling the baby. I can't wait to show them to my daughter at the baby shower on the 30th. We were looking for a nice baby shower favor that people could actually use. All of the guests were delighted to take one or two bottles as a practical remembrance of the special celebration. 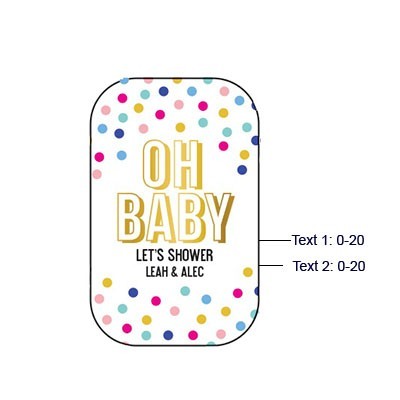 The personalized label was cute; it fit right into the shower's decoration scheme. The size of the bottle makes it perfect to throw in a purse to have handy. It was a big hit! Great product! 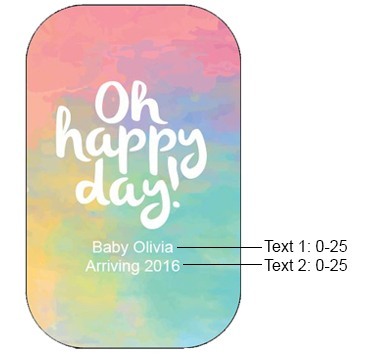 Baby shower favor hit! Ladies at the baby shower used it right away and everyone thought it was such a nice useful favor. This hand sanitizer is small, but not too small. I actually expected to receive something a little smaller and was pleasantly surprised. 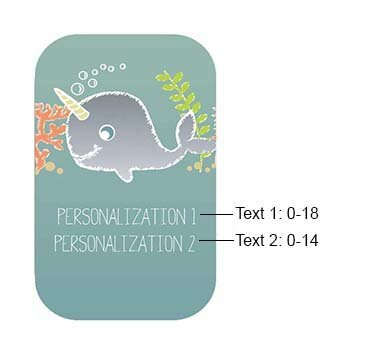 The label is clear and the color (blue with black/dark grey writing) matches perfectly to what is displayed online. In my opinion, this is a perfect and hassle-free favor. I would definitely recommend purchasing it! Disappered as fast as the germs! The personalized bottles of hand sanitizer were such a useful parting gift at our recent baby shower that they "flew out the door" with the guests as they departed. The personalized label was adorable. Guests commented on how they appreciated receiving something that they could actually make use of! I would buy this again.. I thought this would be a great gift to give at the baby shower so when the people go to visit they would have this in their purse to use before handling the baby. 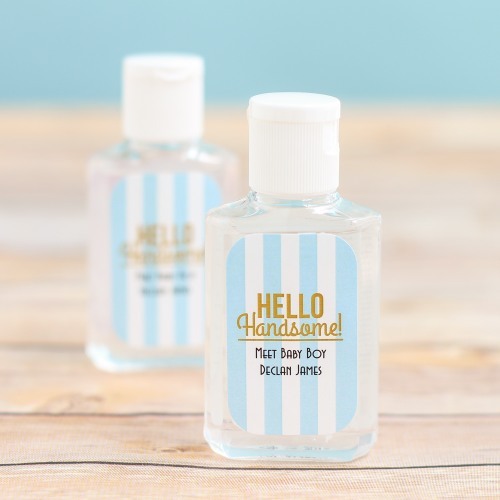 I gave these personalized hand sanitizers as a shower favor. These were a huge hit. This was a very unique gift that you don't see everyday. I was able to personalize it with my own "Thank You". I did not have a chance to open one and use it as they were all sealed. I received such great feedback from my guests and it was such a time saver for me. From the time I ordered to the time they arrived, the experience far exceeded my expectations. Ordering, shipping and customer service all deserve 5 stars! I obtained this product as a favor for a baby shower. The product was great! Exactly what I expected from photos and description. I was very happy with it and guests loved it. Very nicely printed labels with bright colors. The lighter color doesn't show up as well as a darker background would've, but I wanted the neutral, genderless, one - it looks really nice anyway. A unique and useful favor! 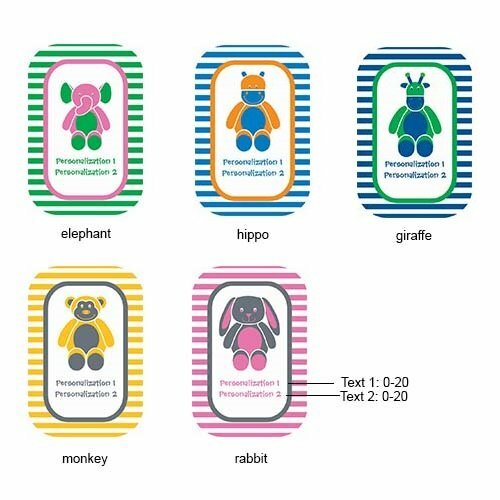 I purchased about 20 of these personalized hand sanitizers for my sister's baby shower. It was a perfect match for my sister, who works in infection control and prevention at a major hospital. Everyone loved the favor and perceived it as not only fitting for the guest of honour, but also very usable! 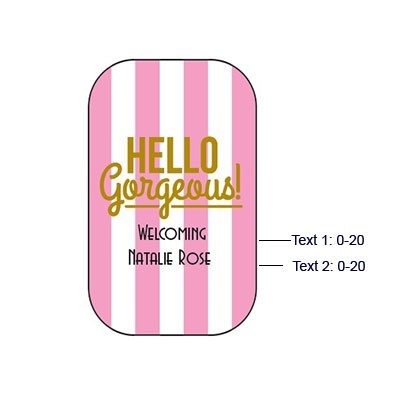 The pink, personalized label was also very cute! I was also pleasantly surprised with how much larger they were than I thought. They are about twice the size of the mini ones you can buy at bath and candle stores. The sanitizer is a great one - it is definitely strong which may be its ONLY downfall. I find the scent very alcohol based. However, the scent does not last on your hands and it really makes you feel like you are truly getting all those nasty germs on your hands! I would definitely recommend this to anyone who is looking for a fun favor! We used this product for a baby shower. My niece did not want to offend anyone with handle her newborn baby so we decided it would be a good gift and also very useful. The shower guest were super excited and wanted to know where we purchased this product. 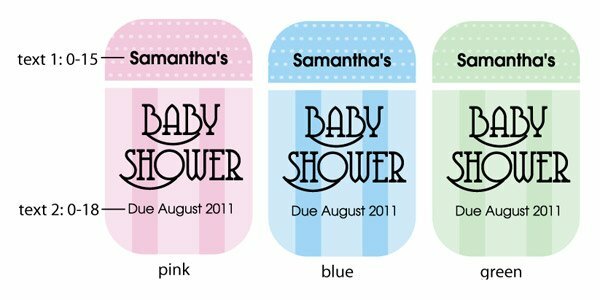 These hand sanitizers were combined with the note pads as a baby shower favor and were a huge hit! 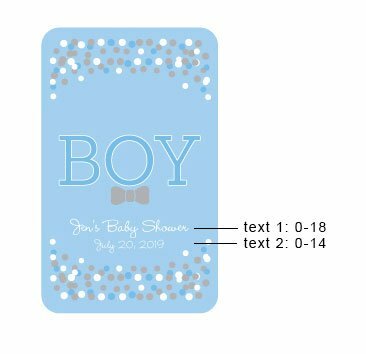 The sanitizer made so much sense because everyone can use it and it just seemed to go perfectly with the baby shower idea. The mom-to-be thought it was a terrific idea and she knew she would get a lot of use out of it. 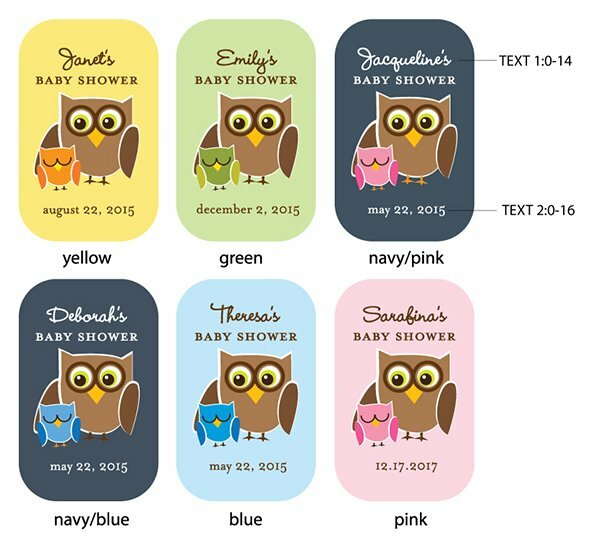 These made for a different and very popular baby shower favor, and were much preferred over some of the more common gifts, such as decorated cookies, candies, etc. Baby Shower gift to guest. 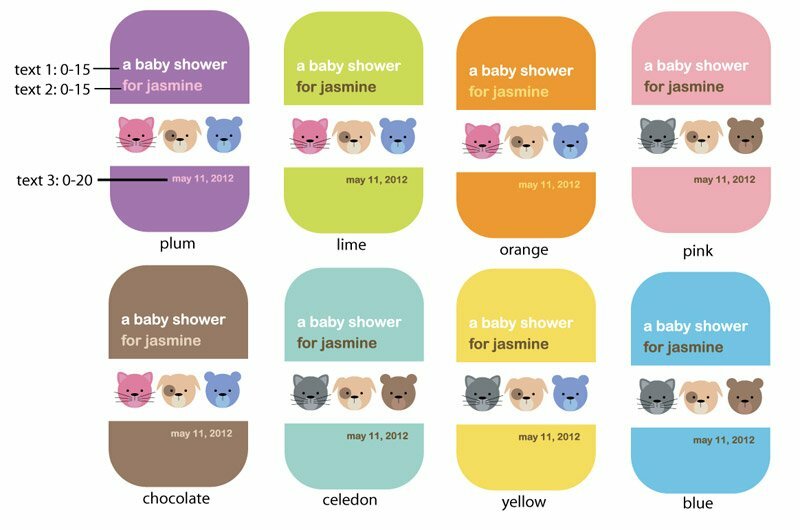 This product will be used for my daughters baby shower in July 2011. I know the guest will enjoy them. These were so cute! I gave them as favors at a baby shower and they were a huge hit! It's the perfect baby shower gift. I use the hand sanitizer as one of my gift in my goodie bag for my baby shower, everyone loved it and it's small enough to where you can put it in your purse. 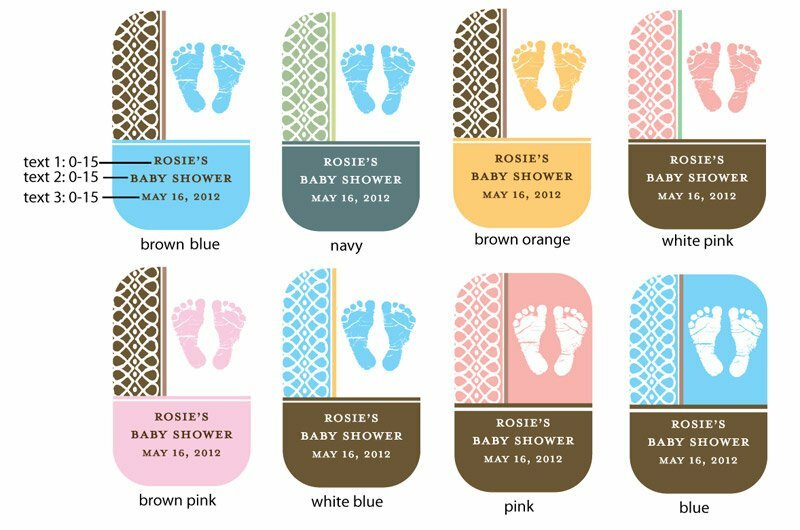 These are perfect favors for a baby shower. Being that new parents -- and grandparents -- are into "sanitizing," it is an appropriate, thoughtful, useful and even humorous favor. We wrapped tulle around them with a bow. Simply perfect. This is such a great and practical gift idea! A favor that will never collect dust or be thrown in the garbage. I can't wait to give them away at my sister's baby shower! I know it will be a hit. I got these for a baby shower and people loved them as a favor. Who doesn't like to have that hand sanitizer in their pocketbook or car after a visit to a hospital or even a mall. It is a great, useful item. Great Service and good products! 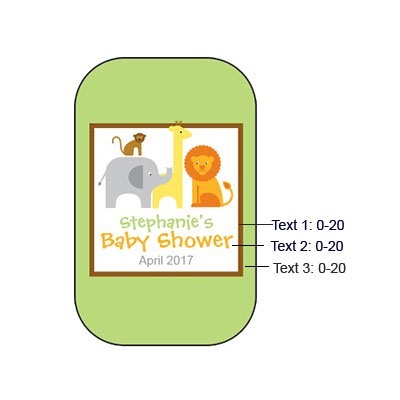 We used the products for gift bag favors for a baby shower and the guests all enjoyed them! 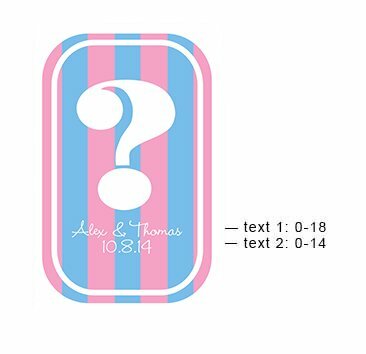 Used for baby shower favors-well received by guests! I thought the smell was a bit too pledge-like (fake smelling). Would be nice if you offered other scents or non-scented. Also was unfortunate that we had to order so many for the min order. 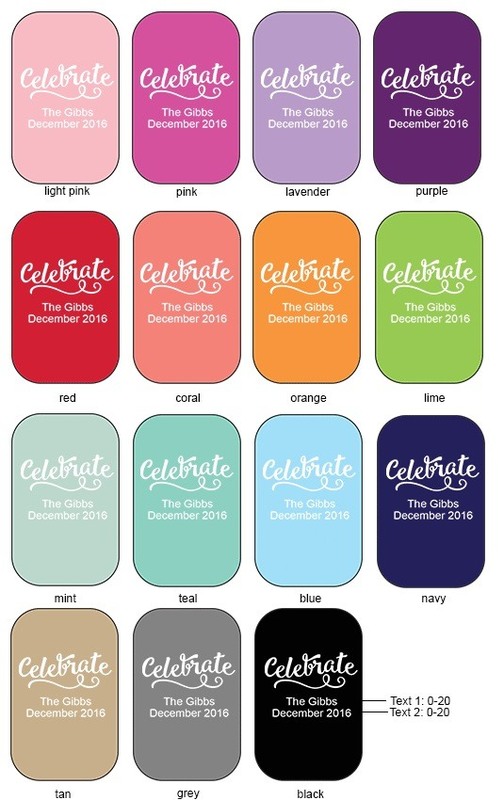 Did enjoy having something useful to give away and the label choices were really cute. These are a huge hit! 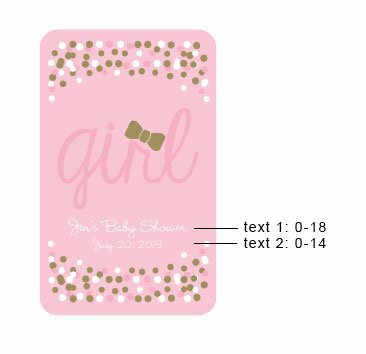 I ordered these for a baby shower and they were a huge hit. Everybody absolutely loved them and it's something they can actually use everyday. They were very well done [...] I was very satisfied with this product and would absolutely order them again. 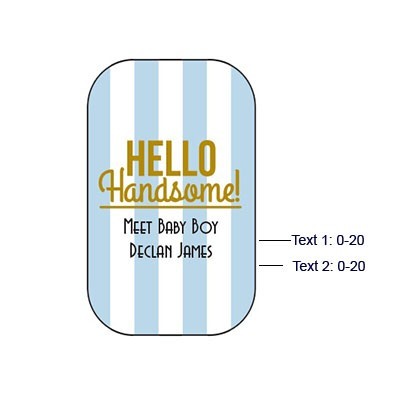 Bought for a baby shower and the guests LOVED them!!!! A useful favor! These were such a hit at the baby shower. Something absolutely everyone finds useful. 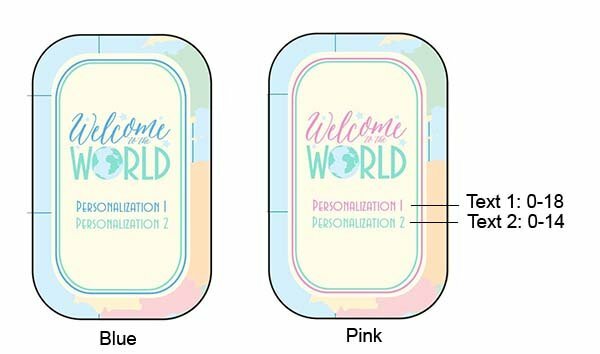 The pink and green pea pod design was precisely the same colors as our invitation. Huge hit!! Q:Can i get the personalized bottle empty? A:Unfortunately the hand sanitizers come pre-filled and are not available empty. 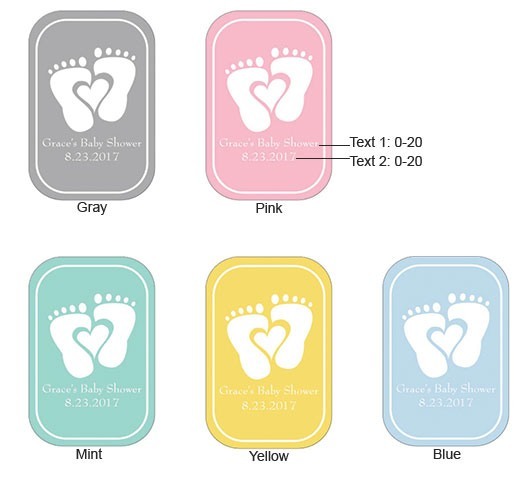 Q:Can I get the personalized baby shower hand sanitizer with a "sports themed" label, or are the options the ones that are shown? A:We only offer the label designs shown. 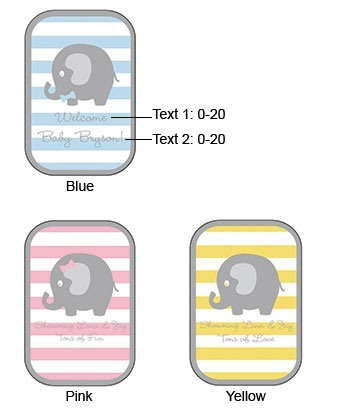 Stay carefree and germ-free wherever you go with our exclusive travel size personalized baby shower hand sanitizers. 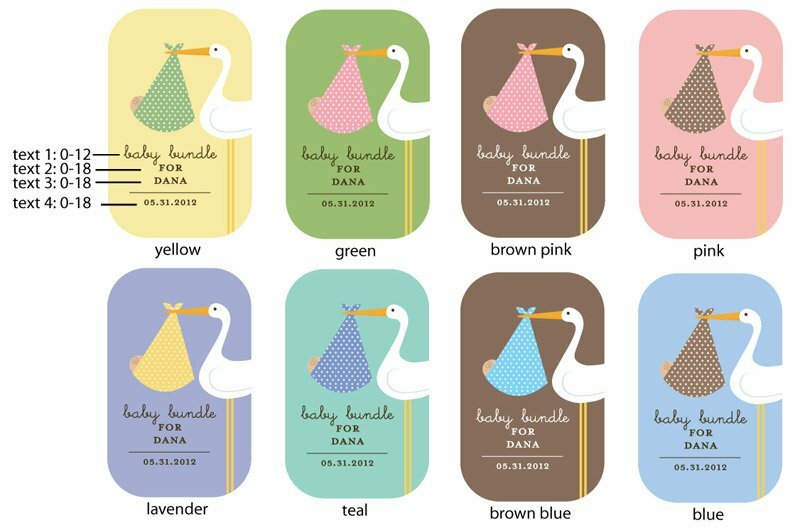 Give these handy favors as unique baby shower favors-your guests will be grateful! A drop a day will keep the germs away! To customize the label on each bottle, simply pick one of our many designs and add a special message all your own. 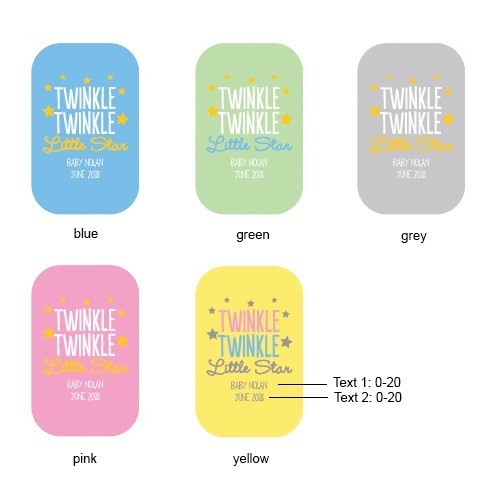 Each two-ounce mini bottle is made of clear, durable plastic and topped with a white cap that dispenses hand sanitizer with a snap. 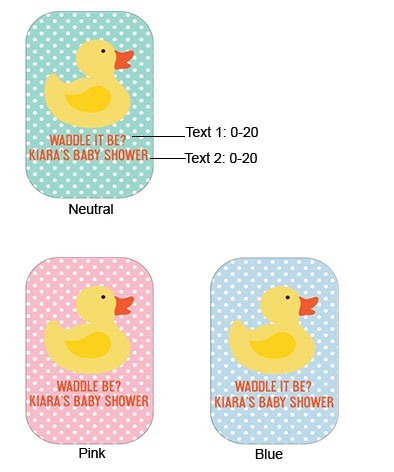 Keep hands clean with these egg soap baby shower favors and "cute as a button" button soap baby shower favors.